I love how cooperative the staff are, everything you need is available dish soup, detergent, kitchen wear, in room dining is really good specially when you have children, location is great very close to metro, mosque and supermarkets. Bed is very comfortable and hotel is very clean. Location, cost, value. Apartments are good apart from the shower and tv. I have come to really enjoy my visits to The Flora Creek Deluxe. I first visited the Flora and I had a bad experience and the rewarded me by transferring me to the Deluxe. I have now visited the property on every business trip since. The place seems to get better every time! All over the service and facility was fantastic, and the location as well. During our stay of 4 days we enjoyed the hotel environment it’s a great hotel with great value. Location near deera city centre metro station, food court outside the hotel, very clean and the flat was spacious. Very safe and modern furniture. I was upgraded which was nice. 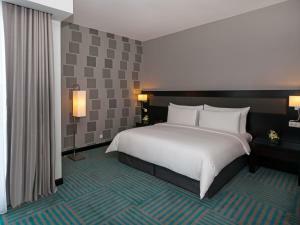 Room was very clean, staff was friendly and very helpful. Hotel was kept clean all the time, location was perfect. The room great..the stuff were awesome...mandeep and the lady at the reception were great..always smiling. Lock in a great price for Flora Creek Deluxe Hotel Apartments – rated 8.6 by recent guests! Flora Creek Deluxe Hotel Apartments This rating is a reflection of how the property compares to the industry standard when it comes to price, facilities and services available. It's based on a self-evaluation by the property. Use this rating to help choose your stay! 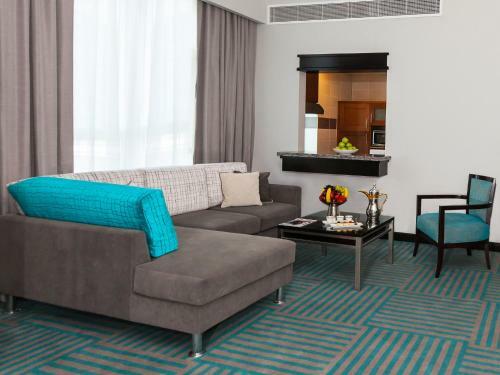 One of our top picks in Dubai.Flora Creek Deluxe Hotel Apartments is located in the heart of Dubai’s shopping, dining, entertainment, and business district in Deira, just steps away from Dubai Metro, the famous Dubai Creek and shopping malls. Dubai International Airport is at just 10 minutes’ drive away. The hotel offers spacious and elegantly designed apartments including studios, One bedroom suites and Two bedroom suites fully serviced and equipped with modern furniture, flat-screen satellite TVs, private bathroom in each room, spacious balcony, separate living room and a fully equipped kitchen. The well-equipped gym at Flora Creek Deluxe Hotel Apartments includes a steam bath and sauna facilities and a temperature controlled indoor swimming pool. Serenity Spa & Wellness Center in Flora Creek Deluxe Hotel Apartments, offers a range of rejuvenating spa treatments in a peaceful and relaxing environment, including a wide range of massage options and beauty services for a 10% discount for guests. 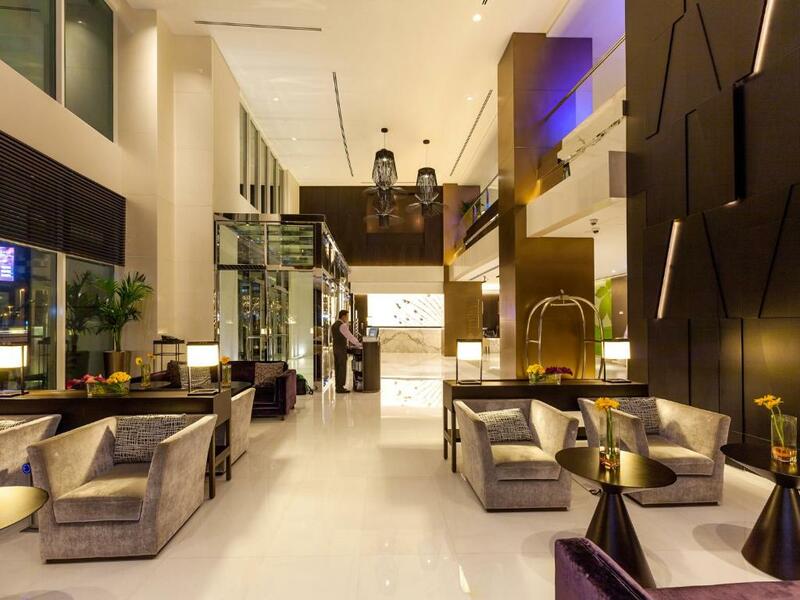 Deira City Center Shopping Mall and Metro Station are a 5-minutes’ walk from the Hotel. Dubai Museum and the Bastakiah at a 10-minutes’ drive away. Free Private on-site car parking is available. When would you like to stay at Flora Creek Deluxe Hotel Apartments? This spacious, air-conditioned suite overlooks Dubai Creek, and features free high speed WiFi, a balcony, a seating/dining area with a flat-screen TV, a fully equipped kitchen and a washing machine. 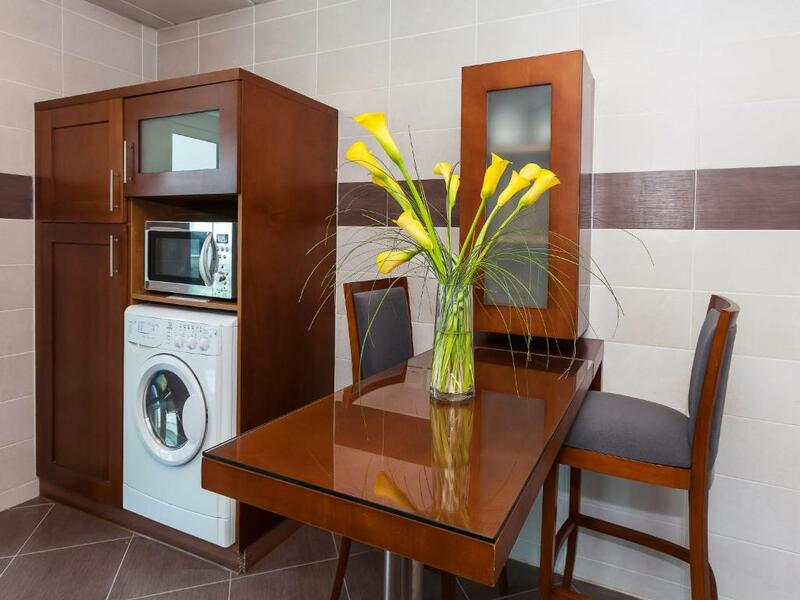 Featuring Free high speed WiFi, this elegant and spacious apartment overlooks the city and consists of a master bedroom with an private bathroom, separate living room with a flat-screen TV, a fully equipped kitchen, a large private balcony, walk-in closets and a washing machine. Featuring Free high speed WiFi, this elegant and spacious apartment is located on the Creek side and consists of a master bedroom with an private bathroom, separate living room with a flat-screen TV, a fully equipped kitchen, a large private balcony, walk-in closets and a washing machine. Featuring Free high speed WiFi, this extra spacious apartment is located on the Creek side with 2 bedrooms with private bathrooms, separate living and dining area, a fully equipped kitchen, a large private balcony, walk-in closets and washing machine. Featuring a large private balcony with a city view, this extra spacious apartment includes 2 private bathrooms. It also offers free high speed WiFi, a separate living room, fully equipped kitchen, walk-in closets and washing machine. It has a separate, simply furnished maid's room with a shower. This spacious, air-conditioned suite features free high speed WiFi, a balcony, a seating/dining area with a flat-screen TV, a fully equipped kitchen and a washing machine. This apartment features a balcony, bathrobe and oven. Uniting luxury design, first class facilities, fine cuisine, and modern comfort, the hotel caters for discerning travelers seeking an exclusive luxury experience coupled with a sense of impeccable hospitality that the group is renowned for. 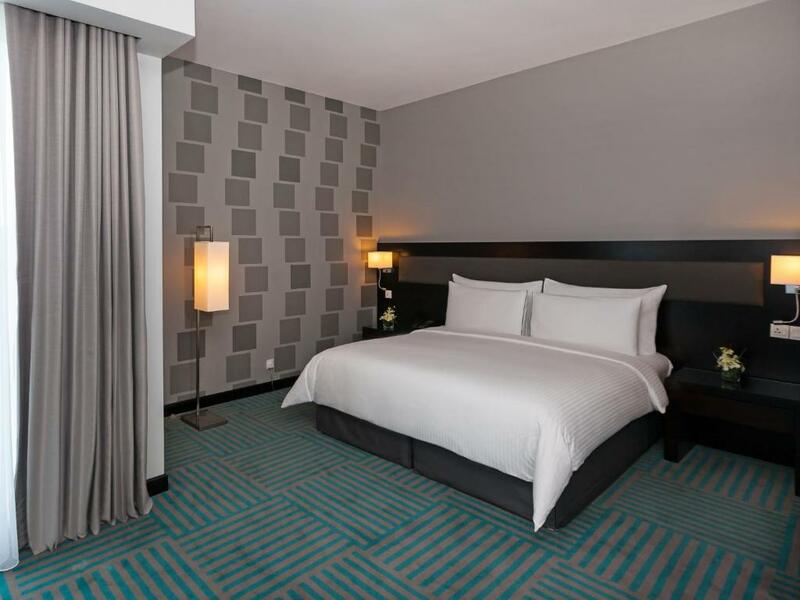 The hotel is convenient and comfortable for families and guests of all ages and is the ideal choice for both business and leisure travelers alike. Our professional teams and family members are available 24/7, ready to cater to our valued guests' needs and meet their expectations. 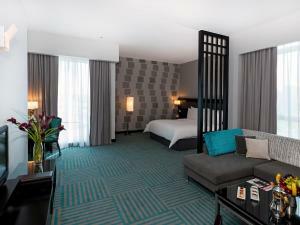 Flora Creek Deluxe Hotel Apartments is located in the heart of Dubai’s shopping, dining, entertainment, and business district in Deira, just steps away from Dubai Metro, the famous Dubai Creek and shopping malls. The ideal location of Flora Creek Deluxe Hotel Apartments also offers access to many tourist attractions in close proximity such as, Dubai Creek Park, Deira City Centre Shopping mall, Dubai Creek Golf & Yacht Club and Dubai Clock Tower. House Rules Flora Creek Deluxe Hotel Apartments takes special requests – add in the next step! Flora Creek Deluxe Hotel Apartments accepts these cards and reserves the right to temporarily hold an amount prior to arrival. Guests are requested to present the credit card used to make this reservation upon check-in at the hotel. Guests who wish to have an extra bed, they must reserve and charges will apply. Extra bed charge is not inclusive of breakfast. The maximum number of children that are specified under each room type will be accommodated free of cost and are expected to share the existing beds with their parents. Should they wish to have an extra bed the same should be reserved and charges applicable. 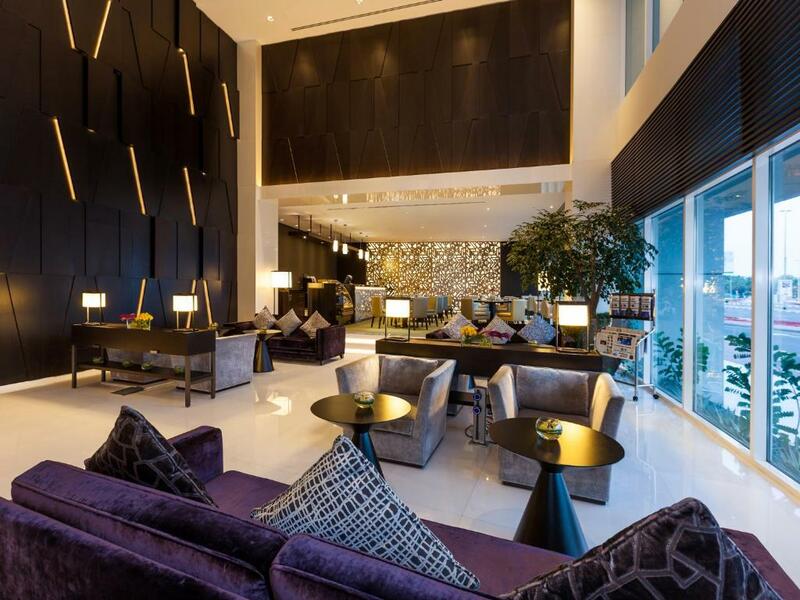 A security deposit of AED 100 per night per room is required upon arrival for incidentals. This deposit is fully refundable upon check-out and is subject to a final accommodations inspection, following which should any damage or loss be identified applicable charges will be posted to guest account. If booking is made on someone else’s behalf, please contact the hotel directly to arrange for third party billing at least 3 days prior the arrival date. Please note that the specified number of adults while selecting a breakfast inclusive rate plan and the number of guests stated in the confirmation the breakfast entitlement is based on the confirmation received. Any additional breakfast requirement is subjected to applicable charges. Didn't realize it was in the area that didn't allow alcohol. The staff were amazing. So polite,respectful and very very helpful. They just wanted us to be comfortable and happy with everything. The pool was lovely, and good that we could use both hotels. Bathroom. Shower was poor, shower curtain was light and kept disturbing during shower, would be better if they offered a separate shower and bath. TV was old, small and not much to watch for kids. No big bowls provided for cereal.